After writing about her husband William Hasket, it seems appropriate to also write about Mary. 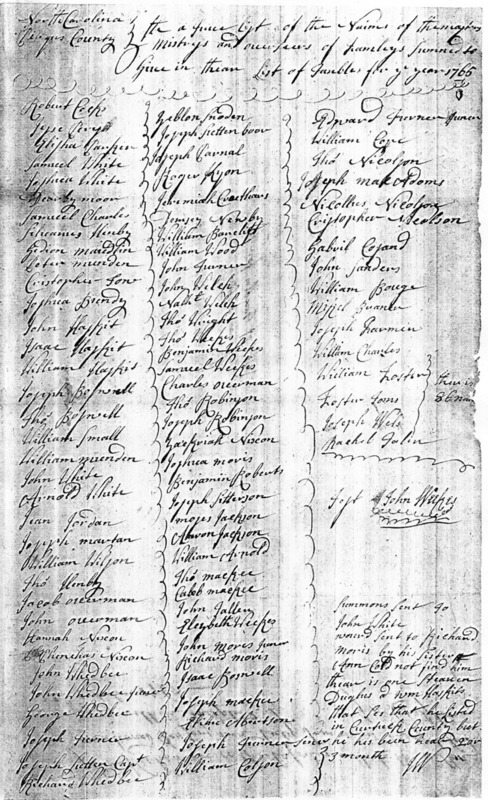 1772: Mary is the head of the household in 1772 Tax records for Perquimans County, North Carolina. I have assumed William is dead at this time since his will is dated early 1772. 1775: Mary is again the head of the household. 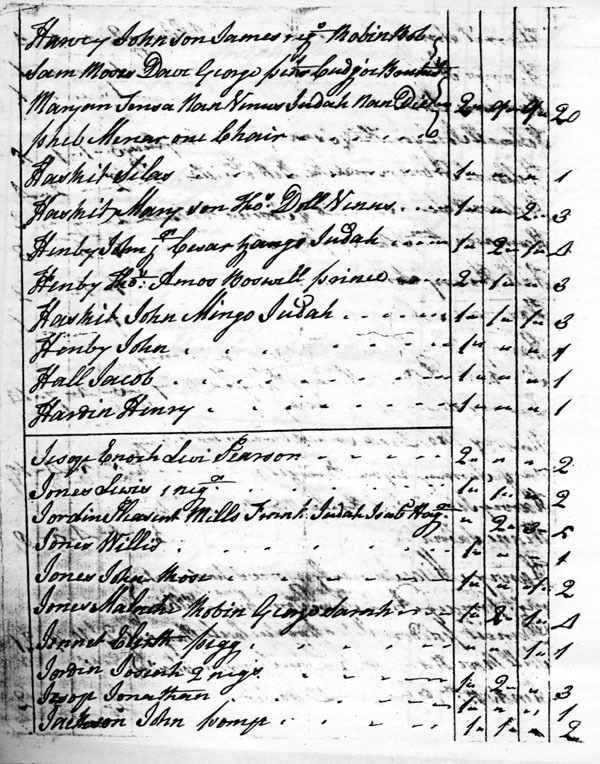 She pays her 1775 Taxes (pg 4 of unknown poll taker district) on 3 polls – her son Thomas, and negroes Sampson and Venus. Sampson appears to have joined the household about the time of William’s death since he is mentioned in William’s will. 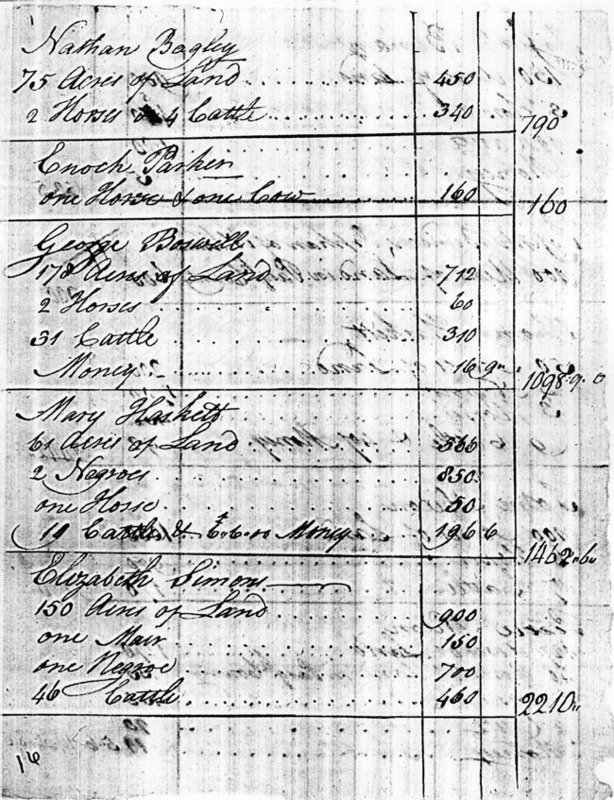 1779: Mary pays her 1779 Tax on 61 acres, 2 negroes, 1 horse, and 19 cattle. I am disturbed by the value placed on human life. At least the 2 people are worth more than her 61 acres. This might allow for a female supplemental for my mother-in-law!! 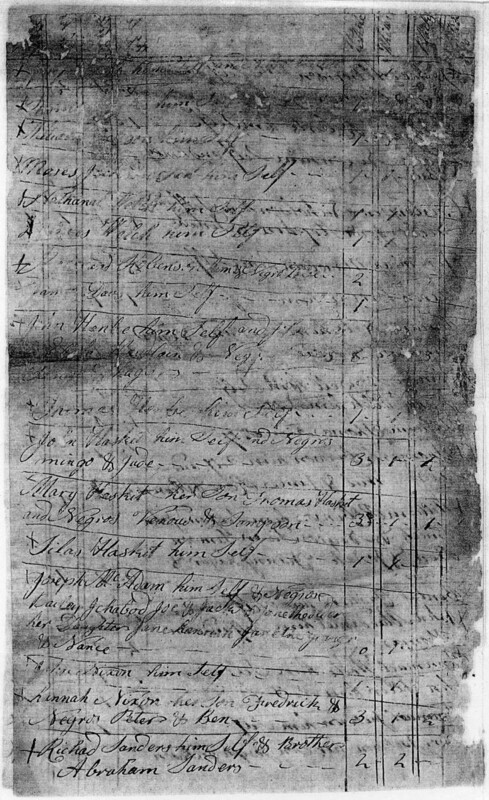 1783: Mary pays her 1783 taxes in Perquimans County, North Carolina on 2 negroes named Lydia and Samson. 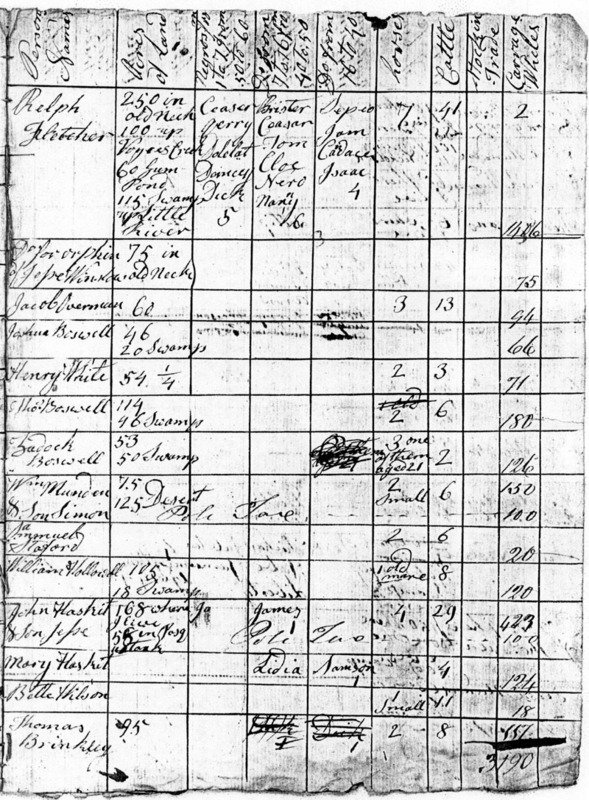 Venus is on the tax record for her son Thomas. She also has no acreage but Thomas pays a poll on 61 additional acres at this time. She also has 4 cattle. 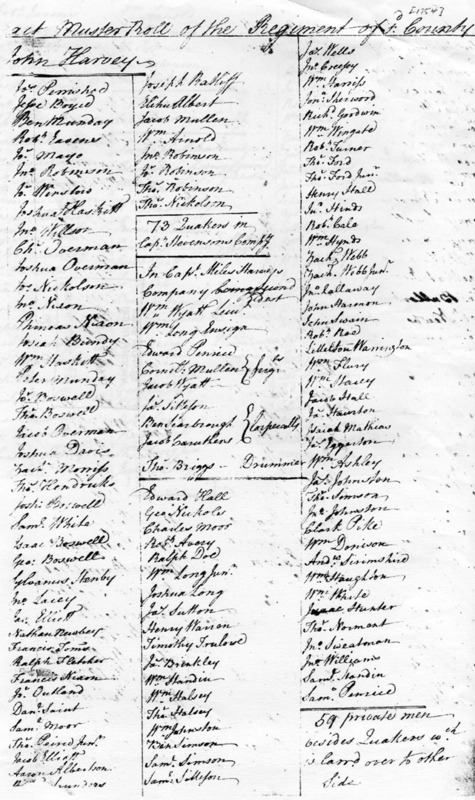 Mary is not indicated on the 1787 Tax records. Her will supports the idea she is deceased by this time. 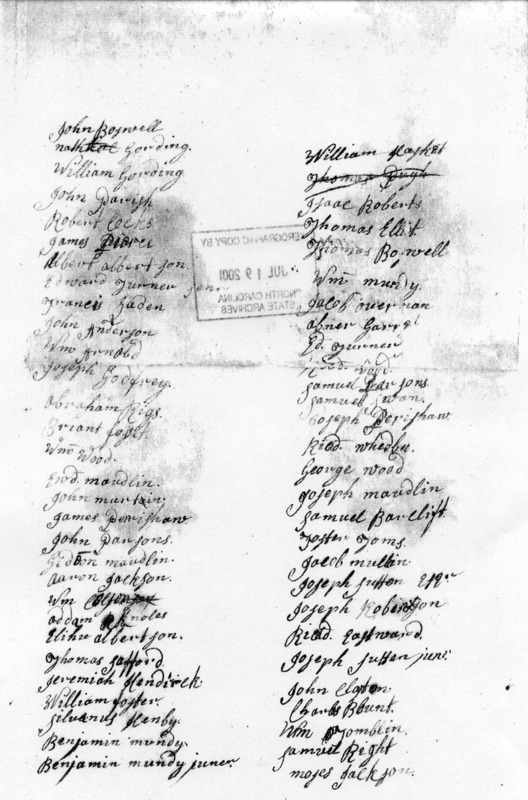 Mary Hasket’s will is dated 9th day, 11 month, 1784 and probated during 1785. It mentions granddaughter Anne Hasket but does not indicate parent of Anne. This could be John’s daughter, who married Thomas Hill. It also mentions sons John, Silas, Thomas. A Jesse Hasket is a witness but it is unclear if this is a son, nephew, grandson, or other possible relative. North Carolina Perquimons County ??? all men By these ??? that I Mary Haskit of the County and province aforesaid Do make and ordain these p?? to Be and Contain my Last will and Testament in the following manner and forme First it is my will that all my just Debts and funeral Expenses Be paid out of my Estate in Due time after my Decease. Item I give the one Halfe of the Remaining part of my Estate to my Son John Haskit. 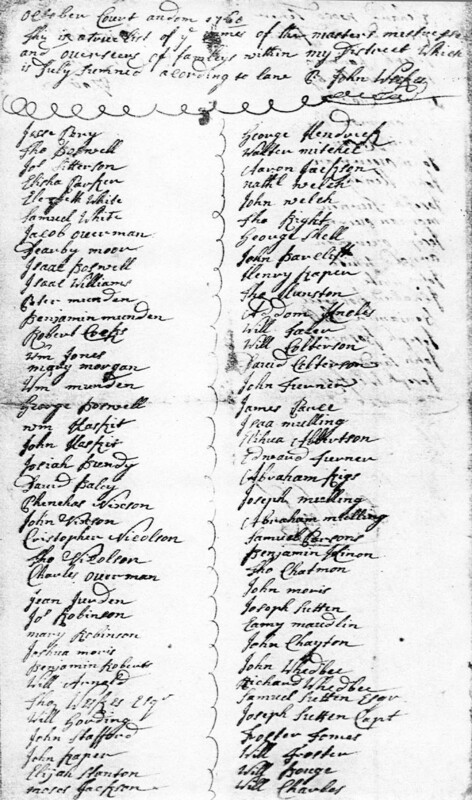 “North Carolina Revolutionary Pay Vouchers, 1779-1782,” database with images, FamilySearch (https://familysearch.org/ark:/61903/3:1:3QSQ-G9W8-J92?cc=1498361&wc=QDRZ-1NG%3A1589672427 : 7 October 2016), Harris, Richard to Hauser, Peter > image 691 of 922; citing State Archives of North Carolina, Raleigh. 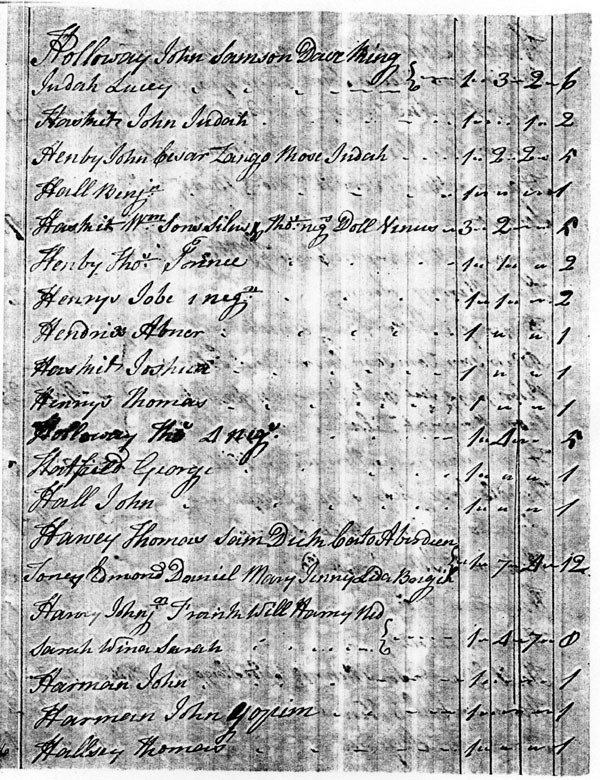 “North Carolina Revolutionary Pay Vouchers, 1779-1782,” database with images, FamilySearch (https://familysearch.org/ark:/61903/3:1:3QS7-99W8-JQ5?cc=1498361&wc=QDRZ-1NG%3A1589672427 : 7 October 2016), Harris, Richard to Hauser, Peter > image 685 of 922; citing State Archives of North Carolina, Raleigh.